Periodic Survey: Nightbane - Summary! <Washed Up> Sayonara Nightbane and Thanks! +8 spell hit gem missing? 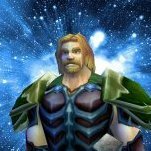 Why ever bother with TBC in 2019?